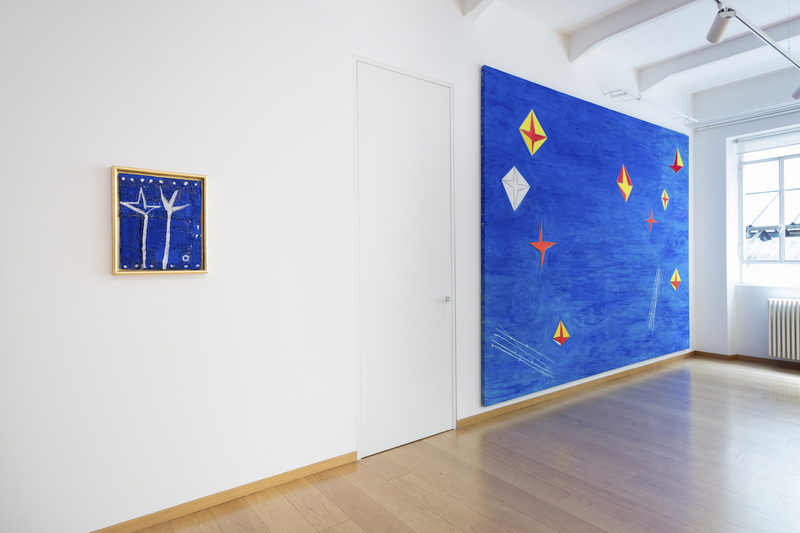 Ahead of the opening of the 57th International Art Exhibition – La Biennale di Venezia,Cortesi Gallery is delighted to announce the launch of a new space in Milan, with anexhibition dedicated to Italian Transavanguardia artist, Nicola De Maria. 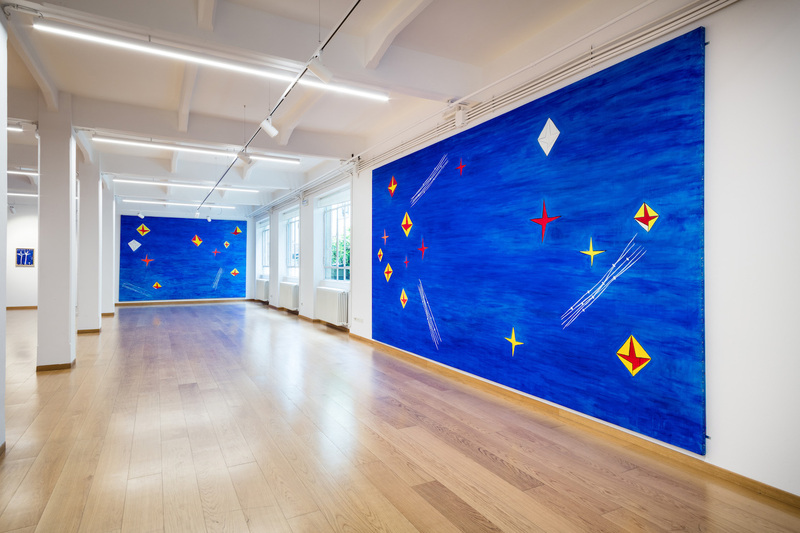 The showbrings together the five monumental canvases created by De Maria on the occasion ofhis participation at the Venice Biennale in 1990, and pays tribute to the biennial and theartists who took part in it over the years. 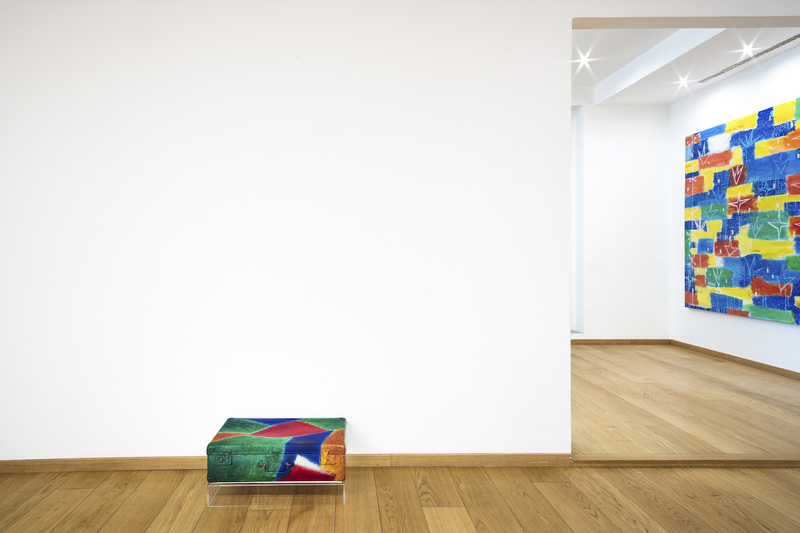 Milan is the third location of Cortesi Gallery. 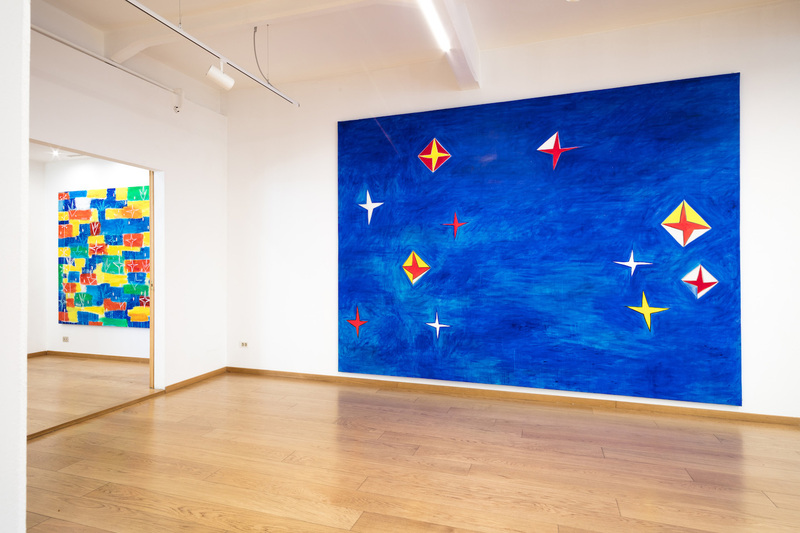 Founder and director Stefano Cortesi, together with his sons Andrea and Lorenzo,opened the first branch in Lugano in 2013, followed by a gallery in London in 2015. 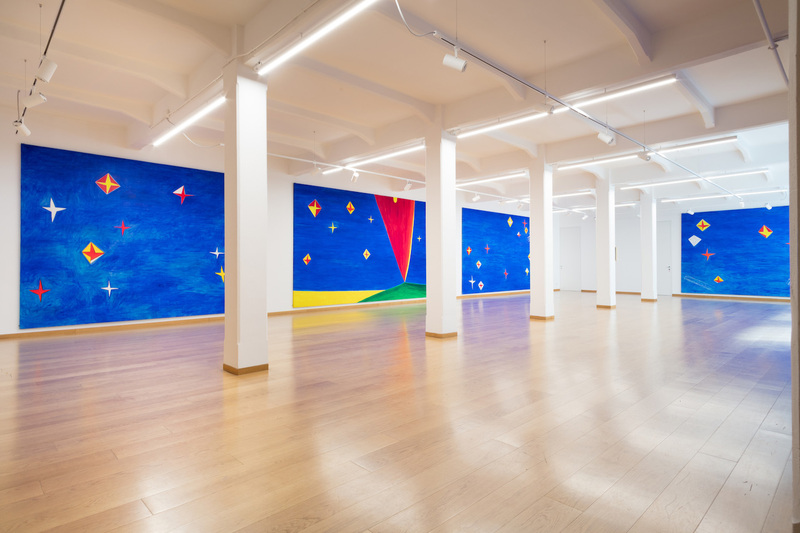 “The decision to open in Milan draws on the necessity of meeting Italian collectors’needs and tap into the ever-expanding international audience, attracted to the city by itswide offering of popular events and the growing number of museums and privatefoundations,” said Andrea and Lorenzo Cortesi. “For us, it is an important return andhomage to our Milanese roots and the new 350-square-metre space will offer unprecedented possibilities in terms of display”. Since its inaugural exhibition in Lugano, Italian Art ‘60-’90, which presented works by modern masters such as Agostino Bonalumi, Enrico Castellani and Lucio Fontana – Cortesi Gallery has always developed its programme with input from art experts, curators and institutions, in Italy and abroad (Zero Foundation, Museum of Contemporary Art in Zagreb, Paolo Scheggi Archive, Agostino Bonalumi Archive, Raccolta Lercaro, to name a few). 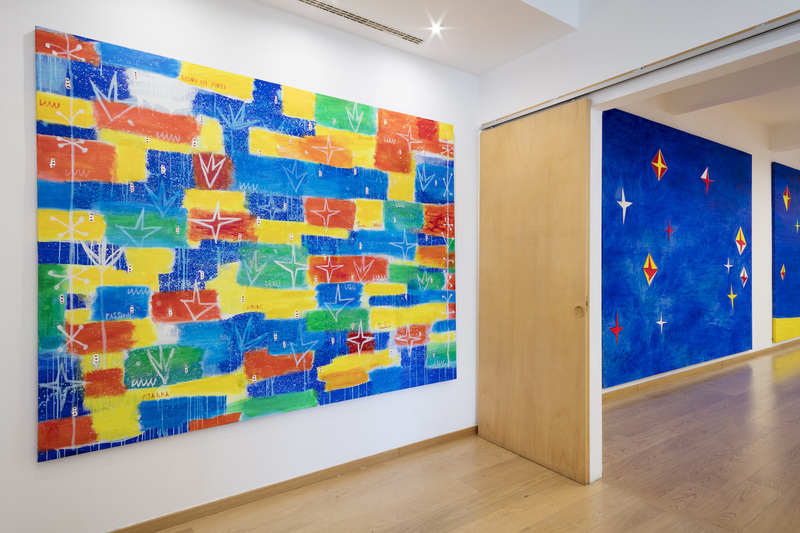 Cortesi Gallery also presented the first UK retrospectives of Grazia Varisco and Gianfranco Pardi, as well as of Croatian artist, Ivan Picelj. “I have decided to turn my passion for art into a business”, stated founder and director Stefano Cortesi, who comes from a background in finance. “I feel confident to say that we left a very positive mark in the art scene in terms of research, quality of exhibitions and presence at fairs. Initially, we decided to focus solely on the most historicism postwar period, from the 1950s to the 1960s, which is also a time of great innovation in art. Over the past years, this particular sector has recorded a strong market interest, allowing us to exhibit well-known artists, as well as doing research on other artists like Paolo Scheggi – who at the time we started showing his pieces, lacked due recognition – and we have contributed to their rise in value. Nicola De Maria is one of the protagonists of the Italian Transavanguardia, a movement defined in the mid-70s by art historian and critic Achille Bonito Oliva. An expression of transition, the Transavanguardia abandoned the avant-gardes’ positivism and certainties in favour of cultural nomadism, stylistic eclecticism and a rehabilitation of painting and manners, both abstract and figurative, freely condensed in the same work. In 1990, De Maria was invited for the third time to participate in the Venice Biennale, and exhibited at the Italian Pavilion alongside Giovanni Anselmo, Alighiero Boetti, Dadamaino, Gino De Dominicis, Alberto Garutti, Giuseppe Maraniello, Carlo Maria Mariani, Vettor Pisani and others. 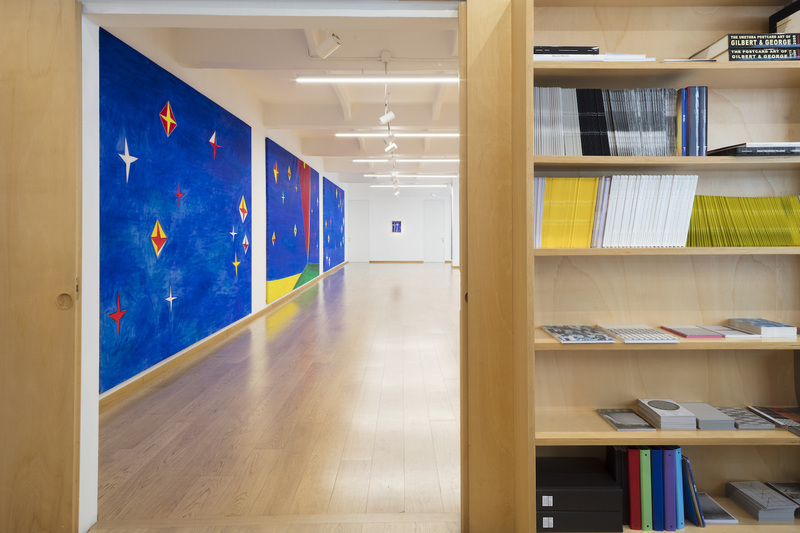 The curators, Laura Cherubini, Flaminio Gualdoni and Lea Vergine, assigned one entire room to each of the artists: in his, De Maria realised an immersive intervention, where flat fields of colour drowned the walls of his room in yellow, red, blue, orange, violet and green, and on which he installed the five large-scale canvases on view at Cortesi Gallery in Milan. The Teste Orfiche (as the artists titled them, numbering them from I to V) are each 3-metres in height and some measure over 5-metres in width. The works recall geometric shapes, natural landscapes, imagined starry skies and, at the same time, the visual suggestions of a musical score. With their chromatic ‘violence’, these pieces involve and encompass the viewer in an endless space of colour. They thrive on a peculiar light that comes from within, rather than form the outside, an effect achieved by De Maria through his use of natural pigments in a return to the primal techniques of painting.